i have registered on line – for this conference – and did not receive any confirmation or receipt of my registration and payment. i wrote to you immediately – as i wanted to be clear if i am actually registered or if there was an error in my registration. i did not hear from you with any confirmation. Can you PLEASE respond – so i know!? i would grately appreciate it! Also – we have seen different information regarding what we need to submit for our papers – can you please direct me to EXACTLY what is demanded – Abstract – Bio – Presentation, etc. Thank you for the comment you posted to the UKAGP website. 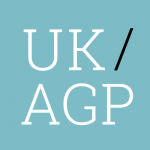 This is not a UKAGP event so I’m afraid I cannot help you further. The conference organisers may be contacted at: [email protected], or via the website: http://www.congresogestalt.cl/index.php/en/. I hope you are able to connect with them and find the information you need.